ARF! 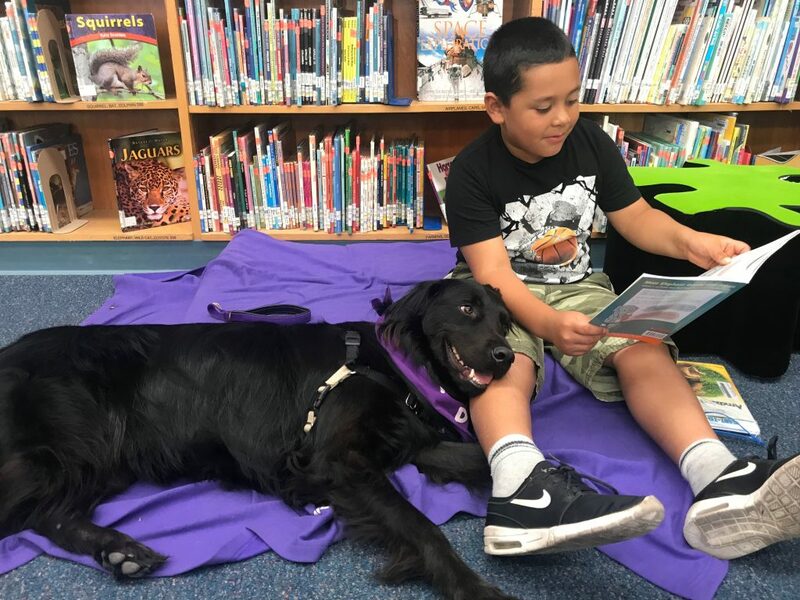 is an innovative literacy program that gives students an opportunity to improve their reading skills and inspire them to become life-long readers by reading aloud to specially trained therapy dogs. Children in grades K-3 are “learning to read” and by fourth grade, they are “reading to learn”. It’s vitally important that children become proficient readers in the early grades in order for them to be successful in all school subjects, which helps them in all facets of their lives. Therapy Dogs of Santa Barbara provides in-school and after-school programming for low-income students in Goleta, Santa Barbara, and Ojai. Through weekly, one-on-one reading sessions with a therapy dog team, students develop positive reading habits and improve their comprehension while having fun. To learn how you can become an ARF! therapy dog team, please visit our Volunteer page. Our therapy dog teams participate in one-time visits throughout the year at several children’s organizations such as the Boys & Girls Club, CALM, Girls Inc., The Family Learning Center, and Transition House. 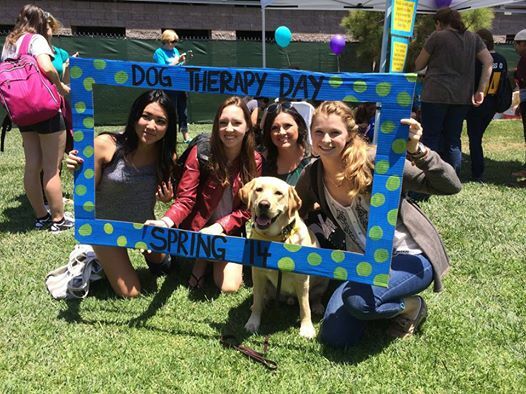 We also host Dog Therapy Day every semester at Santa Barbara City College to give students a chance to de-stress during finals week. To learn more about our therapy dog visits or to request a visit, please reach out to us via our Contact page. Therapy Dogs of Santa Barbara is committed to teaching respect and compassion for all animals. During our book giveaways, we read our A-to-Z book, Animals Have Feelings, Too!, for elementary school students and discuss how animals experience many of the same emotions the children feel. We also teach the children how to safely interact with strange dogs and give them an opportunity to practice with our therapy dogs. In this way, Therapy Dogs of Santa Barbara is helping to reduce children violence towards animals and lower the number of dog bites towards children. To learn more about our book presentations, please reach out to us via our Contact page. To learn more about our book, Animals Have Feelings, Too!, please visit Our Book page. Our programs are provided at no cost to our partner schools, libraries and children’s organizations. Please consider making a DONATION today. 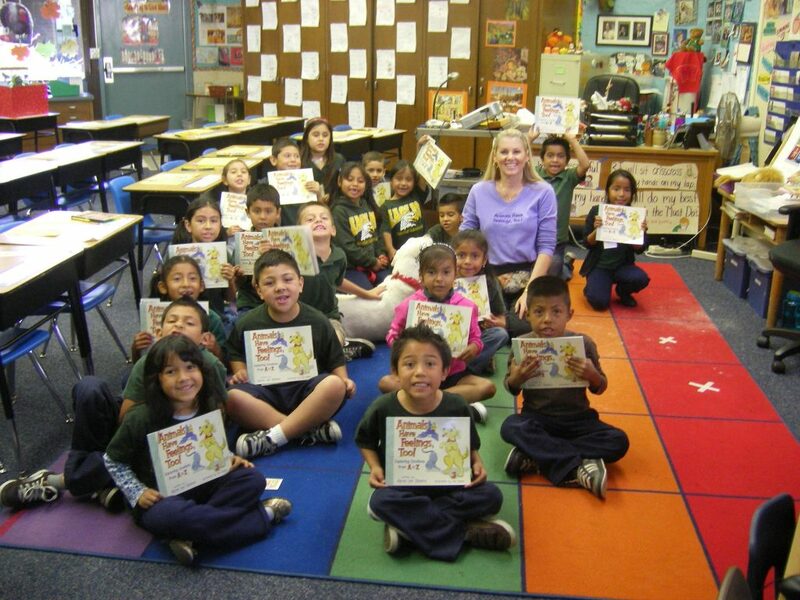 Together, we can inspire children to become better readers and develop empathy for animals!